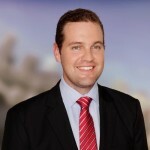 Ben Ellis led the development of a bespoke model to prioritise rail infrastructure investment by the Queensland Government. The model estimates the economic and strategic benefits of proposed projects. The tool was able to compare the relative benefits of passenger and freight projects. The tool was designed to consider both the merit of new infrastructure projects and improvements to existing infrastructure such as increasing the number of services or using different rollingstock. The purpose of the tool was to provide an early, quantitative assessment of the likely economic benefits and strategic alignment of various projects and to prioritise each project in a forward looking pipeline. Key parameters that were modelled include the benefit of service frequency, travel time, reliability, crowding and fares. The model also used the elasticity of demand to changes in the key parameters to determine the demand side response. As part of the project Ben delivered a whole day workshop with more than 20 participants to help develop the key criteria of the tool. The tool is an Excel based model that can be used by economists and non-practitioners. To find out more about our role to develop the prioritisation tool please contact Ben Ellis. Ben Ellis – Director. Ben is an economist specialising in transport, infrastructure and government advisory. Ben holds a Master of Economics degree in transport economics and has more than 10 years experience in economic advisory.